Alaskan Lip Care is a moisturizing lip balm which blends sweet almond oil, shea butter, bees wax, cocoa butter and vitamin e into a wonderful, smooth, lip care product. 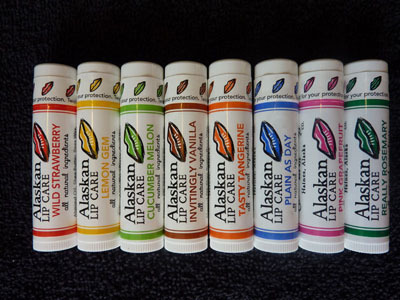 Alaskan Lip Care is scented with pure essential oils and edible flavorings. Choose from our assortment of 8 exciting flavors: Cucumber Melon, Wild Strawberry, Cool Glacier Mint, Tasty Tangerine, Lemon Gem, Pink Grapefruit, Invitingly Vanilla or Plain As Day. 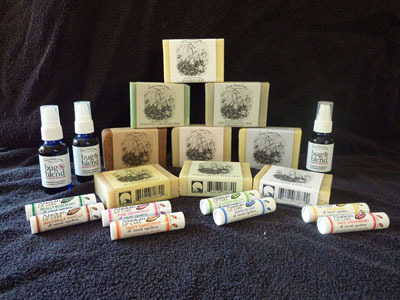 Alaskan Lip Care is our top selling product and people just keep coming back for more.